2018-08-31 09:06:44 368 49 328 16 Scripe <Method> m0s cont. 2018-12-26 10:44:03 370 759 6655 226 Scripe <Method> fixing ui --> islands? 2019-01-11 15:51:04 213 177 1109 39 Scripe <Method> viewer hc raid -> maybe islands? 2019-01-22 16:46:07 148 151 492 9 Scripe <Method> m0s ? 2019-01-23 07:43:25 611 134 1521 49 Scripe <Method> happy patch day ! 2019-02-09 11:49:28 305 2118 12858 502 Scripe <Method> scripetwo is back ! 2019-02-10 12:56:41 288 1166 7673 244 Scripe <Method> scripetwo ap farm begins. 2019-02-13 10:59:05 745 579 8994 303 Scripe <Method> time to loot the weeklies + raid in the evening ! 2019-02-20 07:42:54 372 602 3929 58 Scripe <Method> time for weeklies again ! 2019-02-20 18:05:29 289 588 4060 71 Scripe <Method> time for weeklies again ! 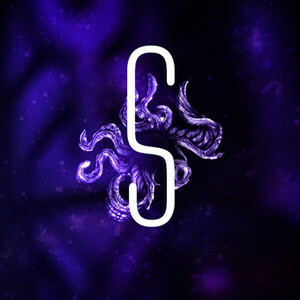 2019-04-03 11:00:36 244 164 1230 2 Scripe <Method> Raid Leader - Mythic + into mythic raids tonight ! 2019-04-17 07:31:21 213 294 1501 10 Scripe <Method> is mythic worldfirst gone before we login y/n? 2019-04-20 10:15:44 549 749 7243 148 Scripe <Method> m+ into MANY CoS runs tonight ! need yo help for trinket trading again !